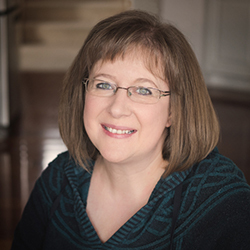 “Composed for the Moment” is a personal blog, written and maintained by Katrina Baker. Some of the links found in posts on “Composed for the Moment” are affiliate (or referral) links. This means that if you click on the link and purchase an item, I will receive a small affiliate commission at no additional cost to you. This commission is used to keep this blog running, and to perhaps enjoy an occasional White Chocolate Mocha. However, please rest assured that when it comes to affiliate links in my blog posts, I only recommend products or services with which I have personal experience. I will only recommend products which I feel can be of genuine interest and use to my readers. In addition to affiliate links, “Composed for the Moment” incorporates advertising through the use of banner ads, which may appear throughout the site. These ads may be for products with which I do not have personal experience, as they may be provided by a third-party advertising network. Advertisements on “Composed for the Moment” should not be construed as a personal endorsement or recommendation of the advertised products. The views and opinions expressed on this blog are purely my own. I will always give my honest opinion of items I recommend, review, and use. I am disclosing this in accordance with the Federal Trade Commission’s guidelines.